People moving to a new community are often confronted by this question: is it better to live in the city or in the suburbs? Naturally, both options have their advantages. 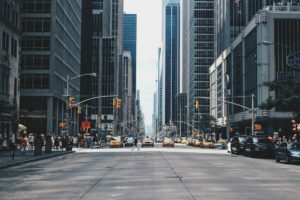 Although city life can be hectic and suburban life can be boring, both places have wonderful opportunities that can appeal to all types of people, it’s just a matter of choosing which one fits both your values and your personality the most. To help you choose, we’ve compiled a list of advantages from both city living and suburban life. There’s a reason families are attracted to living in the suburbs. Aside from the relative space and safety, suburbs are cheaper on average for large families as opposed to living in the city. In fact, a study found that families based in cities spend roughly $9000 more every year than their suburban counterparts. This amount increases in large metropolitans like New York or San Francisco. That extra is just for basic costs like childcare and housing alone. Aside from the extra cost, city houses or apartments are also more expensive: the same amount of money you’ll pay in the city for a 1-bedroom apartment can get you a 4 bedroom house with an attic and a basement. So if you’re starting a family, or have one already, the lower cost of living in the suburbs means you get more value for your money, and what you save can be used for fun things like vacations or schooling. Depending on the city, suburban houses can usually get you up to 300 square feet of additional living space as compared to a city apartment for the same price. But what do you do with all that space? Even if you weren’t moving with a family, that extra space can be converted into an office, or a gym, or even a home-based business. Beyond the financial benefits, that extra space also has great psychological benefits: research shows that humans require 400 square feet to be reasonably comfortable. With all this extra space, you’ll be more than comfortable, bordering on lavish. And all for a fraction of the price that you would pay in the city. It’s an old trope, but a reliable one: suburbs are just generally safer than cities. This is because it’s less crowded and has less instances of poverty. Although crimes like burglary and breaking-and-entering CAN still happen in the suburbs, it’s generally less likely than the city. Suburban streets also have slower speed limits, so it’s safer for children to play outside. It’s also cleaner: on average, suburbs have more trees and green spaces than cities, which means cleaner air and an overall healthier vibe. Our country has always been a melting pot of cultures from around the world, and why shouldn’t we be: ours is the only country on earth that promises you the freedom to pursue life, liberty, and happiness. The American dream. It is exactly this promise of a better life that has helped convince immigrants from all around the world to come to our country and start a new life. Their first stop? City centers. While the countryside has more space, cities have urban areas that are rich with diverse cultures, peoples, and foods, from all around the world. This means that you can experience several world cultures just by walking a few blocks in a city. This exposure to other people and their way of life helps you become more aware of the world and leads to becoming a better person. It’s like traveling the world on foot! Although living in the suburbs does mean families can afford more space, more often than not, those savings go into buying and maintaining a car. For larger families, this means more than one vehicle. For kids who want to see their friends in the city but don’t have their drivers license yet, it can be a pain to go from the suburbs to downtown. But even for those living alone, this can be problematic. For suburbs to have space, they’re generally built outside city centers, which means the nearest commercial space where you can buy groceries and other essentials can be a few miles away. This can be problematic when you run out of an item in the middle of the night, because that means getting into your car and driving. Meanwhile, city dwellers don’t have this problem. Most cities in the country have a comprehensive transportation system that allows them to go from point A to point B in minutes. 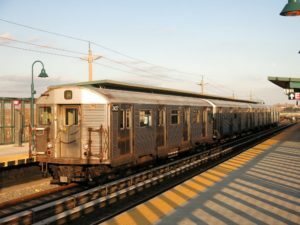 Some cities, like New York City, have subways that run 24 hours a day, 7 days a week, which means you’ll always have an option to go home no matter what time of night. While owning a car can require monthly insurance payments, gasoline, and maintenance fees, a city’s public transport system is cheaper on average. In fact, in some European cities, people can buy monthly passes that allow them unlimited rides on buses, trams, subways, and ferries for as long the pass is valid. 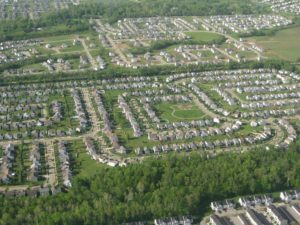 Suburban areas were built to house people, and not much else. While this can be a relaxing place to live, some people can find this boring. Cities, on the other hand, have a near endless list of things to do and places to see. Every city has its own personality and specialties, but will usually have something for everyone. Aside from clubs, restaurants, specialty shops, parks, and shopping areas, cities can also offer cultural destinations like museums, galleries, theaters, and libraries. Beyond this, cities usually host public events like concerts, fairs, open-air markets, among others. The list goes on and on. Most cities in the country are also home to top schools and universities, making them the perfect place to exchange ideas and learn more about the world around you. There are also movie theaters and arcades, skating rinks and sports arenas. The bigger the city, the more there is to do. So Where Should I Live? If you’re the kind of person who wants to have quiet nights and easy days, then the suburbs is for you. If you like fast-paced living with a lot of lights and sounds, then city life would be perfect. However, it’s not uncommon for people to live in the suburbs during the weekends and staying in the city during the weekdays. It all depends on your personality.